Learn how to develop and execute a plan for raising awareness about an issue and getting the issue onto the public agenda. What is the local agenda? When is the best time to get issues on the local agenda? Who should plan for getting issues on the local agenda? How do you develop a plan for getting issues on the local agenda? Often, community memebers are unaware of serious issues facing their communities. In these cases, it is crucial to raise awareness, gain community support, and put the issue on the local agenda. This section discusses how to plan for informing people in a community about an issue and persuade them of its importance. The local agenda refers to whatever a community sees as necessary to address. Road repair, or public building maintenance, may be unrelated to health and community services, while other matters, such as local financial support for child care, needle exchange programs, public-private cooperation to stop youth violence, have everything to do with them. Raising awareness and engaging the public, officials, and policy makers is not a simple matter. Depending upon how much they already know, there are several steps to go through, and each takes time. Bring awareness to the issue. Citizens and officials in the community may not know the issue exists, or may believe it couldn't exist in their community. The first step in getting it addressed is raising public consciousness about it. The director of an adult literacy program often spoke to community groups about the work of his organization. He would invariably begin his presentation by asking how many people in the audience knew an adult who couldn't read or write very well, or at all. Sometimes one or two people, but more often none, would raise their hands. His next comment would be, "I guarantee that a majority of you are mistaken." After reciting the standard excuses that adults use to mask their reading, writing, or math difficulties, he'd ask again. How many people now thought they might know someone who had difficulties in those areas? This time, half the hands in the room would go up. Often, after a presentation, or sometimes weeks or months later, people would approach him to say that they had had no idea how widespread literacy problems were in their region, or how many people they actually knew who struggled with reading. Agenda-setting is essentially a competition for a limited resource: attention. As James W. Dearing and Everett M. Rogers point out in Agenda-Setting (1996), proponents of specific issues are constantly competing to gain the attention of the media, the public, and the policy makers. Dearing and Rogers also point out that scarcity of attention is a factor in agenda-setting. In one national study, researchers gave individuals a chance to name as many "important issues" as they wished-and most named only four or five. So if the public agenda (the concerns of average citizens) contains a limited number of items, agenda-setting is a "zero sum" game: In order for one issue to appear the agenda, it must push another off. Therefore, if people in your community and the local media are currently focused on incidents of teenage drug use, you'll have to work doubly hard to get adult literacy on the radar screen. Ensure understanding of the issue and its importance. Awareness of an issue is only the beginning. People may understand that it exists, but not understand its implications. They may feel that it doesn't really matter, that it only affects a few people or places far away, or that there's really no proof of its effects. The next step is to explain the issue clearly; whom it affects and how it works, where it is encountered, and what the significance is. If provided good information, citizens and public officials will realize that the issue is serious. In his presentations, the adult literacy program director spoke about the effects of literacy issues on the community as well as on those who struggled with them. The loss to the community, he explained, was as great as the loss to the affected adults themselves. People with literacy problems were often working in low-skilled, poorly-paid jobs, resulting in a lower community tax base. Local employers were less able to be competitive, because they couldn't find workers with the skills to quickly learn new procedures or new jobs. Fewer and less-informed voters meant fewer community decisions based on good information and consideration of the alternatives available. And, perhaps most telling of all, the children of those with low skill levels often had difficulty in school, perpetuating the pattern. Once people understood these aspects of the issue, they were much more likely to take it seriously, and to ask whether it was a problem in their own community. Generate concern about the issue. Once people are aware of and understand issues, the next step is to foster concern about them. This involves making sure that people understand how issues affect them directly or indirectly, and play out in their communities. It's when they realize their own link to the issue that they'll begin to see it as something that's not only serious, but that needs to be addressed locally. Even once they perceived it as an important issue, most people still weren't ready to put adult literacy at the top of their lists of problems to attend to. They needed the sense that it actually affected them in some way. The adult literacy program director handled this in two ways. First, he had fact sheets prepared, which he distributed not only at presentations, but at every opportunity - through personal contact, community bulletin boards, businesses, etc. These informed citizens of the extent of the problem both in the state and in the local area, an extent far beyond what most would have estimated. His other strategy was to arrange talks by current and former learners in the program. In a particularly effective presentation to the Chamber of Commerce, a local man told how he had graduated from high school - in the same class as many of those in the room - unable to read or write, and how he had hidden his problem from everyone, even his wife, for years. He at last, at her urging, sought help, and learned to read. When he described how stupid and worthless he had felt for so many years, and what it meant for him to be able to do something as simple as go to a restaurant and order what he wanted from the menu, much of the room was in tears. This learner's talk brought the issue home to the Chamber members. It was no longer "out there," but rather a concern for their community, and a personal concern for many of them, who had known this man most of their lives. Now it was on their agenda. Get the issue on the local agenda. What does this mean? It can mean many things, including literally placing the issue on the local agenda, in the form of a bylaw (potential or actual), regulation, referendum, or policy statement, which is the ultimate goal. Influence public opinion. Public opinion is an essential factor in setting the local agenda. Issues become items on the local agenda when they reach a certain level of public consciousness, and the community starts to consider them worthy of attention. Stories about them will start to appear in the media, speakers and programs that refer to them will be sponsored by mainstream institutions and organizations (service clubs, churches, universities), and ordinary citizens will talk about them in their daily conversation. Once it's clear that the public is concerned about these issues, politicians and other officials will take notice. Affect unofficial public policy. 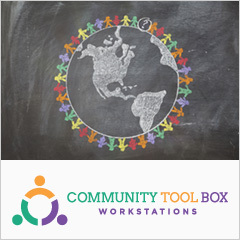 Policy, as discussed by the Community Tool Box, is usually referring to the laws or regulations that formally structure how particular issues are considered and handled. Much of the time, however, especially at the local level, the policy that structures public affairs is informal, and depends on the assumptions, pressures, biases, and influences that form the opinions of elected and appointed officials. Economic development may be a priority as much because the mayor's cousin is out of work as because it's what is most important for the community. Official support for homeless shelters or adult literacy may stem less from bylaws or regulations, and more from public pressure or officials' personal acquaintance with people who struggle with these problems. Affecting this informal policy is a large part of getting an issue on the local agenda. Change individual responsibility. A final aspect of getting an issue on the local agenda is getting it on the agendas of most individual community members. A recycling program won't work unless householders are committed to it, either out of belief in the need for a cleaner environment, or because it saves them money. Successfully eliminating youth violence may depend on many adults in the community - parents in particular - changing their own attitudes toward violence. When a community reaches a critical mass of individuals taking responsibility for an issue, that issue is on the local agenda. Thus, getting a health or community development issue on the local agenda means helping the community see the issue as important enough to take action, and making sure that a sense of responsibility for the issue is assumed by the public at large, elected and appointed officials, and each individual citizen. Any time is a good time to promote community health and development, but certain conditions make the job easier. When an important issue surfaces that needs to be addressed immediately. The discovery that the town water supply is tainted by leakage from long-buried gasoline tanks is the perfect time to get a discussion of water pollution and water supply on the local agenda. The advantages are that the issue must be dealt with now, and that it won't go away without some permanent way of addressing it. There's no better time to raise an issue. When an already-troublesome issue reaches critical proportions. A small child becomes a casualty in a drive-by shooting; a homeless person freezes to death in a doorway on a bitter winter night; a factory closes and the local unemployment rate skyrockets. In circumstances like these, it often becomes easier to get a particular issue into the public consciousness. Everyone hopes not to have to reach this point before people pay attention, but changing people's perceptions is difficult. Sometimes it takes a crisis to make getting your issue on the local agenda possible. When an external source calls attention to your issue. A new government commission report, a New York Times article about a particular problem or community, a presidential remark, a book by a respected author, a mention on Oprah - any of these can make your issue hot, and make it a good time for you to bring it to the attention of people in your community. When new information reveals or underlines a serious issue. A university study or government report may alert the community to the fact that it harbors a very high number of cases of an unusual cancer. This information may open the way for an investigation of its possible environmental causes and a plan for action. When political conditions make it easy or appropriate. In an election year, for instance, there are two reasons why it may be possible to call attention to issues and get them discussed. Politicians up for election or re-election are eager to please constituents and show their concern, and may be willing to take up your cause as a campaign issue. Additionally, in many localities, you can put your issue on the ballot. Even in non-election years, a well-publicized political event or situation may help put your issue in the spotlight. In many places, a question about an issue can be brought directly to the voters in a referendum. This is a direct vote of the people, which may be binding - i.e. if it's passed, it will become law - or non-binding - it simply acts as an indication of the will of the people. The mechanism for placing a referendum on a local or state ballot is usually an initiative petition. This is a petition that needs either the signatures of a set number of registered voters, or the signatures of a set percentage of registered voters. In a small town, this may mean gathering as few as a hundred signatures; in a large city, it may mean tens of thousands. A referendum is usually phrased as a question on the ballot. It may ask voters whether they favor a course of action, whether they approve a particular proposed law, or whether they support a policy position. Planning is the first step toward action; you'll want to recruit help and support for what you'll do. Choosing a planning group carefully can contribute greatly to the eventual success of your effort. Stakeholders; those with a direct interest in the issue. Those directly affected or involved in the issue. Stakeholders in youth violence, for instance, might include young victims, their parents, residents of neighborhoods where violence is common, and/or school personnel threatened by violence. It may even include the participants in violent behaviors; gang members, or others living in violent areas. Those who deal with the issue. Using the same example as above, that would include the police, the court system (judges, probation officers), the schools, hospital emergency room staff and other health professionals, youth and family agency directors and staff, etc. Those indirectly affected. This category includes such people as merchants whose business has suffered because people are afraid to shop in the evening or to come to their neighborhoods; innocent youth who find themselves painted with the same brush as those engaged in violence because of their age, appearance, or racial or ethnic background; and property owners unable to sell or rent their houses because of the reputation of the neighborhood. Policymakers. There are really three groups here: those who make formal policy, those who make informal policy, and funders. Formal policy. The group that sets formal policy might include local politicians, planners, and community governing or oversight bodies (the Board of Health). All of these can pass or sponsor local ordinances or official regulations. Informal policy. This group, which may include some local boards or other entities, agencies, schools, the police and courts, and even businesses, can set policy unofficially through organizational policies, practices, and regulations. Funders. 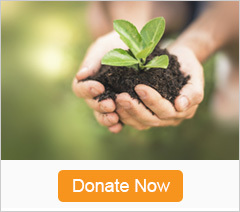 Funding organizations can also make informal policy decisions by what they choose to fund. Influential people and other interested citizens. If you include people whose opinions are respected in the community, you are more likely to get community support for your effort. This may include business leaders, leaders of the groups most affected by the issue, clergy and other leaders of the faith community, community activists and advocates, and other individuals with widespread community respect and credibility. More important is that all of these groups feel ownership of the plan and the effort that your initiative makes to alert the community to your issue, bring it to the forefront, and deal with it. They can bring both information, and, ultimately, an action plan back to their segments of the community, and help to gain support for your initiative. Without their support, there's less chance of actually getting your issue into public consciousness and onto the local agenda. What steps do you need to take to get your issue addressed? Identify and recruit a planning group. Put together a representative group that can help to make the best plan possible and carry it out effectively in the community. Choosing and defining your issue carefully will greatly increase the chances that you'll actually be able to do something about it. Plan for a communication campaign, not just for a one-time barrage of information or persuasion. Envision the whole campaign, not just the beginning. Find out how much the community already knows and cares about the issue. Are community members aware of it? Do they care about it? Are they willing to do something about it? Are they already doing something about it? The answers to these questions will help you start where most community members are. Plan a campaign that focuses on where the community is now, while also planning the next steps. Find "hooks" to pull people into your issue. These may have to do with their own connection to the issue (local statistics, testimony from community members) or with particular aspects, risk and protective factors, etc. that speak to their values and concerns. Many parents may not be willing to stop smoking for their own sake, for instance, but may be willing to quit to protect their children from the effects of secondhand smoke. Address public opinion. Obtaining support of the public provides advantages; you'll have community support for what you want to do; the media will take notice and further reinforce that support; and policy makers and funders will be more likely to formally consider the issue and provide you with resources. A plan for getting issues on the local agenda, therefore, should include aiming at public opinion. Contact the public directly. Use posters and fliers, social media, website, presentations, community forums and meetings... any way you can think of to directly reach people. Partner with the media. The media can be incredibly helpful in educating the community about the issue itself, and about your organization or initiative. By publishing statistics and editorials, covering human interest and other relevant stories, and presenting entertainment that deals with the issue, local newspapers, radio, and TV can raise consciousness and help change attitudes about your issue. Partner with trusted intermediaries. Clergy, widely-respected community leaders, local sports figures, average citizens who are trusted in the community - all can help you influence public opinion. If you can educate them and get them on your side (or, better yet, if they're already familiar with the issue and agree that it's important), you'll have a much better "in" to the community, and your message will be taken more seriously. Address unofficial policy. Try to find out why those who set or influence policy believe and act as they do. Approach them with individual stories of the effects of the issue on local people (told by those people themselves where possible). Have conversations with them to discover what their major concerns are. These may inform you about how to frame the issue. Show people there are things they can do. Volunteering, writing letters to the editor or to policy makers, talking to friends, and speaking out at public meetings are some ways that people can help. Find a champion among legislators, public officials, or policy makers for your issue. Advocate with legislators and local officials control official policy. Run a media and publicity campaign to get public opinion behind you. This doesn't have to be an expensive series of ads on TV, but can be accomplished with press releases and press conferences, public demonstrations, Public Service Announcements (PSA's), letters to the editor, and other free or nearly-free publicity opportunities. Mobilize those affected by or involved in the issue to call, write to, and visit the appropriate policy makers with a coherent and consistent message. Follow up. Once there are laws or regulations that address the issue, it is, by definition, on the local agenda. Don't forget to follow up as needed. If your goal is simply to bring the issue to public notice, use that notice to move to the next step in the process. If a law has been passed, maintain contact with policy makers and the public to keep the issue at the top of their consciousness. Getting and keeping issues on the local agenda is not a temporary job: it takes ongoing effort. While the ultimate goal of getting an issue on the local agenda may be to change official policy through laws or regulations, reaching that point takes a plan for educating the community to the existence and importance of the issue. You have to address not only official policy, but also public opinion and unofficial policy. Success can be assured with two key factors: paying attention to the timing of the effort and to the inclusiveness of the planning processes. Timing includes taking advantage of a political situation, a crisis that must be dealt with, or a situation where new information or media has brought the issue attention. Involve all stakeholders and as many sectors of the community as possible to encourage ownership of the plan - and the issue - among as many people as possible. The actual planning process itself includes careful selection of a planning group and defining the issue; planning for a long-term campaign; and addressing public opinion, unofficial and official policy, to bring about change. There should be a plan for follow-up once change has been accomplished, so that gains can be maintained. Kansas Action for Children provides an Advocacy Toolkit to support people attempting to change or create policy that supports children. The "Get Involved" section includes material about working with the media. Dearing, J.,& Everett M. R. (1996). Agenda-Setting. Thousand Oaks, CA: Sage Publications, Inc.
Meredith, J. & Catherine M. (1999). Real Clout. Boston: The Access Project.